Never before have businesses been able to build billion-dollar valuations in so little time. Never before have incumbent enterprises been able to go out of business so quickly. Disruption is now commonplace, and augmented reality (AR) is emerging as yet another avenue to turn industries on their heads. But what direction will this new technology take? AR overlays digital information on the physical world using a smartphone (think Pokémon Go) or a headset. 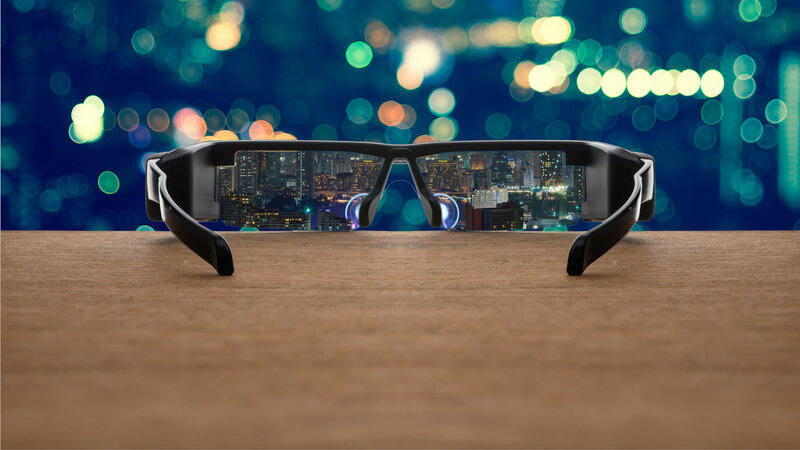 In its simplest form, AR is simply a rectangular display floating in front of the eyes, à la Google Glass. More advanced forms will drop video game characters or useful information seamlessly onto physical objects, from homes to industrial warehouses. While virtual reality is moving into a more commercial phase, AR is a little earlier in its development. But AR’s potential practical applications are significant. So, what’s in store for AR in the coming years? Most business leaders today are making their projections based on what we know today—a perspective that runs the potential risk of being too linear and possibly missing the point. By digging deeply into trends, cycles and clues from technology disruptions in the past, we can create frameworks to help us better strategize for how capabilities may unfold in the future. Today, standard market projections focus on how AR will become smaller and faster, or they extrapolate on how existing capabilities could impact the enterprise once implemented. However, past technology disruptions demonstrate that this view is too narrow, and doesn’t consider the impact of converging technologies—for example, in the way mobile technology has converged with the internet. 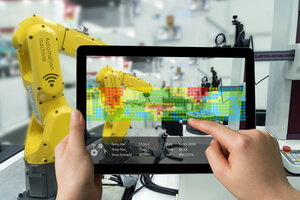 Augmented reality (and to some extent, virtual reality as well) is on a collision course with other emerging exponential technologies—for example, the Internet of Things (IoT), 3D printing and machine learning, to name a few. Businesses that prepare themselves to capture the value that can unfold when they converge are more likely to find themselves as industry leaders in the resulting economy. Mobile technology may be one of the largest technology disruptions to happen in the past 20 years. However, the mobile industry didn’t just happen on its own. Analysts thought that these devices would become smaller, gain longer battery life and that costs would fall—and even predicted a slow, linear growth. In fact, McKinsey predictions were that the total market for cell phones would be around 900,000 by the turn of the century. The phone would indeed become smaller, faster and cheaper, but no market prediction would come close to predicting what happened next. Mobile technology became disruptive when it converged with the internet, introducing a slew of new consumer and enterprise use cases. The smartphone was born, and it took the ceiling off the cell phone market potential, unlocking billions of dollars of value that simply did not exist before. Crowdsourcing was the next convergence as smartphones tapped a worldwide developer community. Traditionally, software companies made applications for mobile PDAs in a small, niche marketplace. By hosting a crowdsourced marketplace on the App Store online store, Apple initiated what would become an estimated $143 billion market opportunity for mobile apps in just 8 years. Mobile converging with data analytics became another landmark example. As user adoption for smartphones and mobile apps began to skyrocket, the collection of user data to fuel business insights became very relevant. Today, mobile user data has an estimated value of $50 billion, across multiple layers of user data that are collected, sold, aggregated and analyzed. The point is, “mobile” is a mega-billion-dollar market, but those who focused on the handset and what it could do missed a seismic shift in the technology paradigm. Similar to the mobile revolution, AR’s future will likely not be dictated by falling prices, smaller form factors or faster performance. They may help in the ubiquitous adoption of AR, but relying on these metrics to predict the future of AR will likely miss the greater market opportunity. It’s only when we start to imagine what the combination of AR and industrial IoT, machine earning and 3D printing, among others, that we can begin to truly see its future potential. Industrial IoT. Augmented reality and the industrial Internet of Things (IIOT) will most likely be the first to converge. AR device adoption is happening in the enterprise space at a faster pace than the consumer space (with the exception of Pokémon Go). And similar to how consumer connectivity created value with the smartphone, enterprise connectivity will provide an information layer that’s expected to extend the value of AR devices. As enterprises begin to rapidly develop connected infrastructure, from manufacturing to logistics, and ultimately to the consumer, massive amounts of data are being collected and used for analysis. AR can provide a “data to human interface,” allowing workers, managers and executives to see the world augmented with a rich dataset. Enterprise resource planning, warehouse management and even electronic health record systems will be able to connect a workforce to its surrounding environment, whether a factory, warehouse or hospital—workers will be able to see information projected onto their environment. Eventually, the value will likely be driven upstream, as well into concepting, design, layout and other knowledge worker tasks, connecting the digital world to the physical one through connected data ecosystems. Machine learning. Machine learning is expected to be an important convergence for AR, as well. We’ll need to figure out the best user interface for what amounts to a more hands-free experience. Just as the keyboard was an important innovation in desktop or laptop computing and touchscreens were the key to mobile devices—machine learning may play a big role in AR interfaces. Moving from type to touchscreen is a great example of how new interfaces require novel UI. Machine-learning-enabled speech-to-text, as well as text-to-speech, could become important innovations in AR. Our devices should understand the way we move, talk and touch. Data around user behavior will likely be extremely valuable, opening up markets to capture, transmit, store and utilize. 3D printing. 3D printing is an exploding market in industrial manufacturing, with unique potential benefits for complexity, performance and physical properties. However, specific 3D printing tools for modeling can be confusing for engineers trained on traditional design software for 2D monitors. Often, the unique design requirements of complex 3D structures are not well suited for existing software tools. Crafting, editing and visualizing models with AR will help bridge the cognitive gap between engineer and design, removing the degrees of separation between designer and product that currently exist today (i.e., keyboard, mouse, 2D screen, interface), and enable the designer to directly interact with the product in an intuitive, creative way. Simply looking at AR and hypothesizing about its value is not sufficient. Most of the opportunity around hardware innovation lies in emergent value. How AR technologies interface, integrate and converge with other future innovations will help unlock the multi-billion-dollar potential of what may initially seem like just a clunky device. 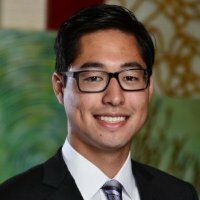 Jiten Dajee is a business analyst with Deloitte Consulting Innovation’s Exponentials and Ecosystems Group. He is currently focused on discovering new, game-changing forces, understanding their possibilities, and capitalizing on the opportunities that unfold.